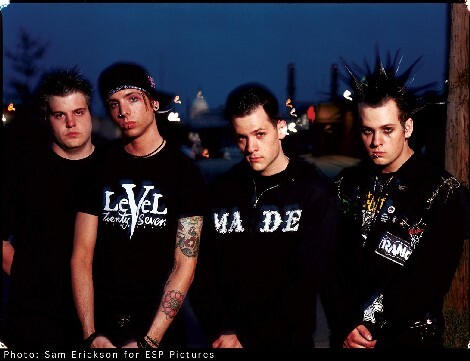 You've got to admit, Good Charlotte have been through a lot in their childhood, their dad running out on them, as it says in a lot of their songs, E.G - 'Emotionless' and 'Story Of My Old Man'. They grew up in Maryland, U.S.A. In a place near Washington D.C. called Waldorf(Note, 'Waldorf Worldwide')The Powerful twin duo of Benji and Joel really set the stage off on their live performances, they have even appeared on 'Top Of The Pops' over here in Britain, Good Charlotte have made it along with all the other popular bands like New Found Glory, and good luck to them in the future!